If you’re looking to visit the South but want to have a more local experience, renting an apartment, house or room is the best way to do that. It will put you in a different neighborhood than you might see in a hotel or hostel, plus you’ll be able to cook for yourself. Take recommendations from the owner for the best places to see in their city. The South’s best AirBnB rentals range from former tour buses to treehouses to homes with historic legacies. This house has been showcased on countless websites and re-pinned perhaps more than any other. 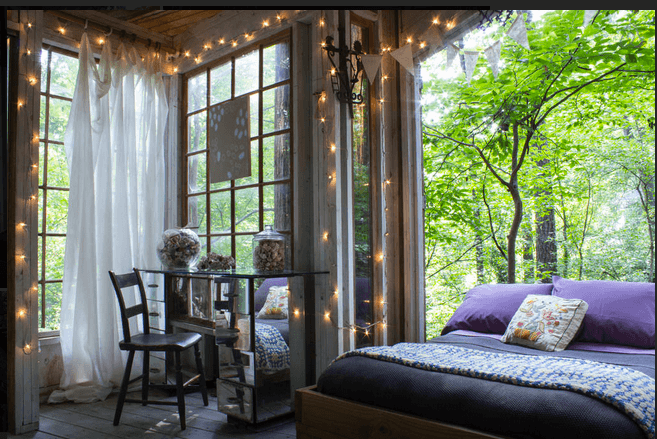 The romantic Buckhead treehouse is made up of three connected rooms between bridges, featuring big windows and Christmas lights covering nearly every surface. Furnished with cozy antiques and rugs, it’s surrounded by views of the trees. Located 35 minutes from the college town of Tuscaloosa, the Everhope Plantation was built in the 1850s. 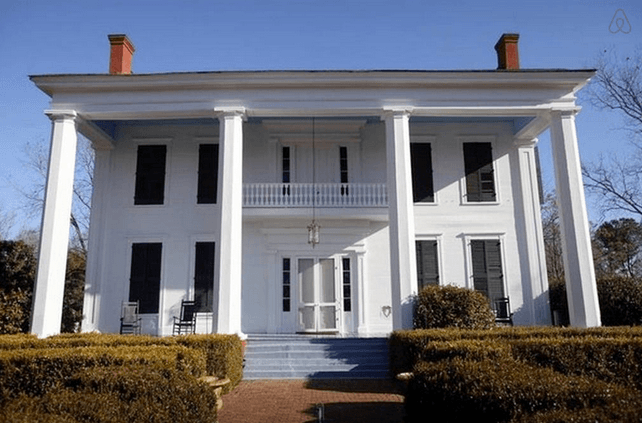 It’s listed on the National Register of Historic Places and doesn’t have Internet or television so that guests will connect with the rural setting and their fellow travelers. 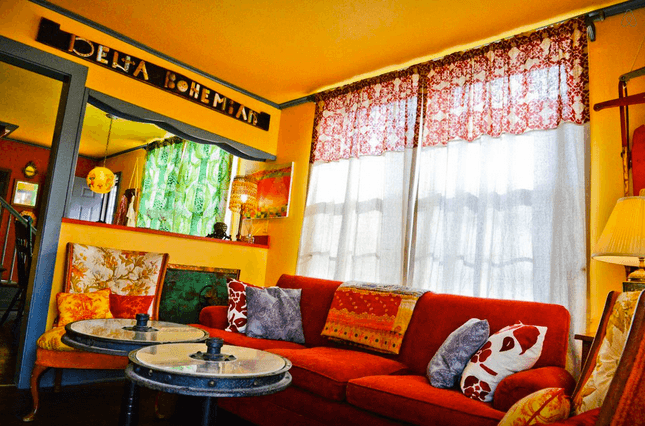 Indulge in the best of blues country at this colorful guesthouse in Clarksdale. The former cook’s quarters includes two bedrooms and one bathroom, down comforters, a fully stocked kitchen and, their unique welcome gift, a can of Pabst Blue Ribbon. 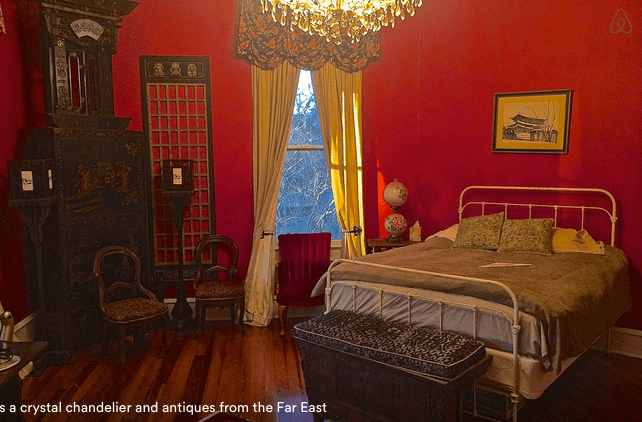 Located outside Lafayette, the 1899 home features rooms decorated in different themes. It’s set on a working farm in the heart of the food and music of Cajun country. The home is full of antiques and decor found all over the world. 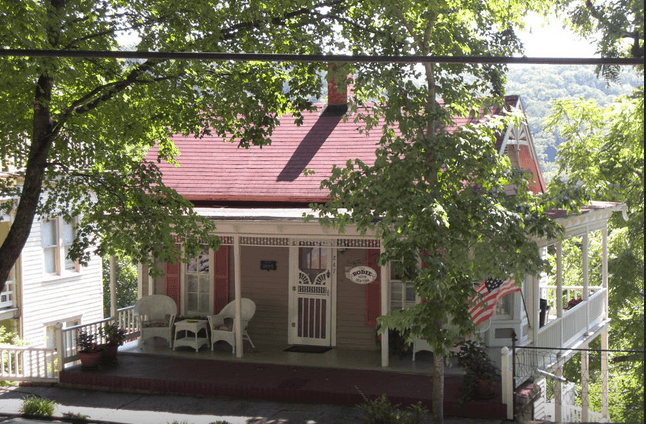 Another listing on the National Register of Historic Places is the 1886 cottage tucked into the Ozarks. A deck overlooks the nearby valley and has two bedrooms. The Bodie House is a short walk or trolley ride from the restaurants and shops of Eureka Springs. All photos property of AirBnB.